Sir Tim Berners-Lee, the creator of the World Wide Web as we know it, spoke on Tuesday at the Decentralized Web Summit in San Francisco. The event was a meeting of top computer scientists and tech influencers from across the globe – including Brewster Kahle, internet activist and head of the nonprofit Internet Archive. Berners – Lee gave a speech on the dangers of internet censorship and manipulation of information in this digital age. Government influence on the internet has become a hot topic in recent times, this week Julian Assange claimed that Google was complicit in running the Hillary Clinton presidential campaign. Assange has yet to provide concrete evidence to support these claims but the ease at which Google could shift public opinion in the favour of a presidential candidate is well reported on. Berners – Lee and the rest of the Decentralized Web Summit are attempting to harness the power of newer technologies like digital currency software and peer to peer music sharing to create a more private web, entirely decentralized from any government control. Some of the topics discussed by Berners-Lee and Kahle were ways that web pages could be more widely distributed without the need of a standard web server and how to host important scientific data without having to allow companies like Amazon, Google or Dropbox access to and control of this data. The topic of encrypting mass amounts of web data was also discussed – as was the archiving of web pages, creating a snapshot of a web page in all its forms, making it harder to censor or rewrite information. Countries like China use a blocking and monitoring system nicknamed “China’s Great Firewall” to prevent citizens from accessing website that they believe do not tow the political party line. They can not only prevent access to these websites but they can monitor the people trying to access them, creating a database of citizens that could then be targeted for anti government ideas. Berners-Lee hopes to dismantle systems like this by putting the power of the internet back in the hands of the users. Take for example the online payment process for most websites. They usually involve the input of a credit card number into a text field that is then sent to a server where payment is accepted and processed. This means that there is always a third party server between the buyer and the seller and for many sellers, there is no other way to receive money in exchange for their product. But with the rise of digital cryptocurrencies such as Bitcoin there may be alternative methods for artists to receive compensation for their work. 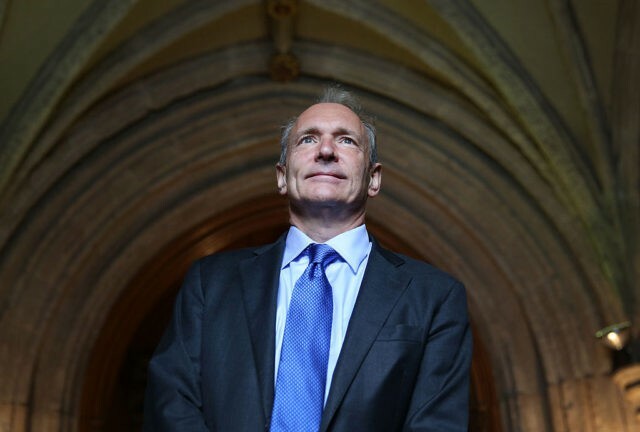 Given the constant advances in technology and the online tech communities working on encryption and data protection, it may only be a matter of time before Berners – Lee will see his vision of an equal internet come to light. Follow Lucas Nolan @LucasNolan_ On Twitter.